Fiber has been acknowledged as an essential part of a common man’s diet in view of its contributory role of intestinal regularity. In ordinary circumstances, insufficiency of fiber can cause constipation. Research has traced out certain clues that advocate the use of day-to-day diet enriched with fiber. Recent studies, dispensed in developed countries like United States of America, have unraveled that a low-fiber diet may result in the high rate of contracting fatal diseases such as cancer of the colon. Is there any medical evidence? There seems a considerable worth in the evidence recorded of colon cancer due to low-level of fiber intake. A British based study has found out that cancers of colon are very sporadic in countryside Africans just because they are used to eat plenty of raw whole grains (cereals) and fresh fruits and vegetables replete with high fiber. Whereas those residents of the land who are used to Western styled diet, predominantly consisting of meat and refined sugars and flours, low in fiber, have exhibited a higher risk of contracting the disease. Conclusion: low-fiber foods move too slowly in the digestive tract — the suspected cancer causing elements have a prolonged exposure to the internal lining of the colon. Is there any connection between fiber use and heart disease? The connection between fiber and heart disease is not much highlighted, as was that of colon cancer. However, with the passage of time the factor of interconnectedness is gaining momentum in medical circles. It has been related that high blood cholesterol level contributes a great deal toward a heart disease but it is still not gathering a viable medical attention. It has come to view that the diet rich in fiber causes increased amounts of cholesterol excretion from our body. This implies that such diet as attributed with cholesterol reduction is bound to curtail the likelihood of a possible heart attack. Nearly in every case, fiber based food contains low fat and thus low calories. Fiber may contribute in fixing gallbladder mal-functioning by activating metabolism of the bile salts required to digest fatty substances. It has come to surface that a fiber-based diet ensures complete evacuation of colon, hence reducing the chances of diverticulitis, an abnormal condition attributed with the infection of intestines. Cereals obtained from whole grains and bran. Crunchy Vegetables in raw form or cooked without losing their tenderness, e.g. cabbage, corn, broccoli, cauliflower, etc. Green beans, peas, dry beans, lentils. Tube-root vegetables: beets, carrots, sweet potatoes, etc. Edible with tough skin and seeds, e.g. black-berry, tomatoes, summer squash, potatoes, etc. Nuts / seeds of all kinds. How much fiber does a human body need? 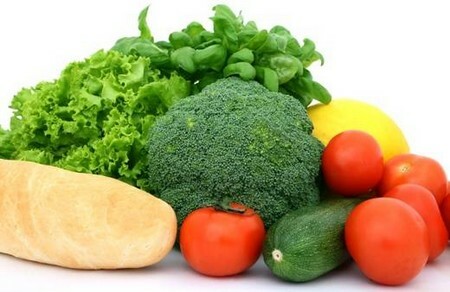 To maintain required level of fiber in one’s intestines round the clock, it is essential, though arbitrary; to have at least eight (08) courses of fiber based nutrition that should largely include vegetable and fruit in addition to whole grain cereals. One way to ensure normal supply of fiber is to have intakes of cereals a couple of times daily in addition to regular food. Another interesting good way can be to prepare different recipes every day enriched with fiber. This will not only endow novelty to the routine but also keep your interest posted.